Preheat oven to 200°C (390°F). 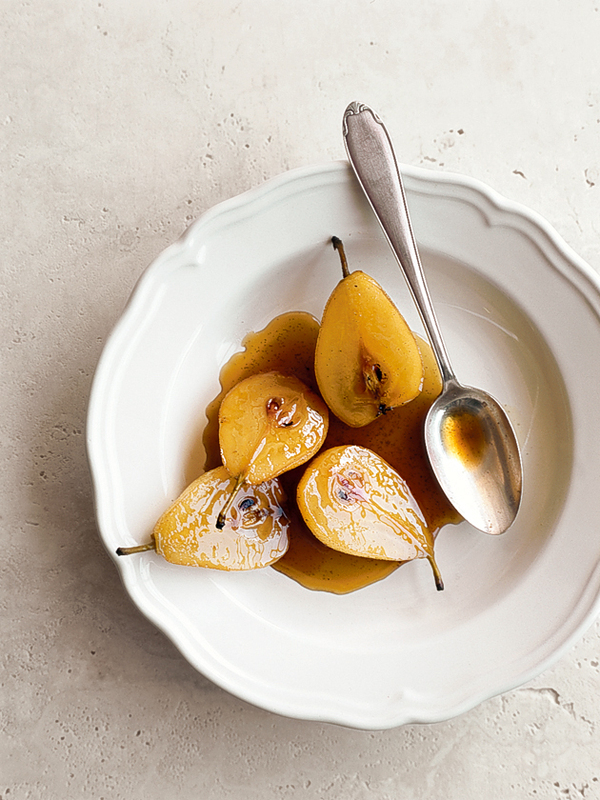 Place pears, vanilla, maple syrup, dessert wine and orange rind in a baking dish and toss to combine. Cover with foil and cook for 30 minutes. Uncover and cook for a further 15 minutes or until sticky. Serve with vanilla ice-cream if desired.